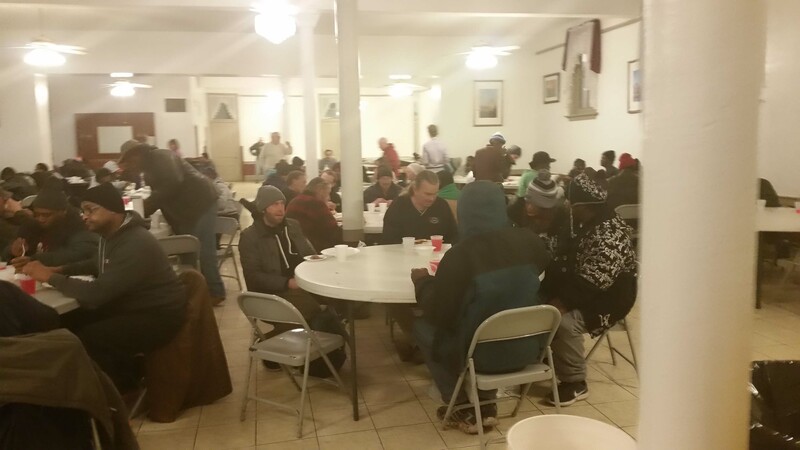 (ST. LOUIS, MO) Yesterday, parishioners from Incarnate Word Parish in Chesterfield….including members of the IW Knights….went to Saints Peter & Paul Parish in the Soulard neighborhood in south St. Louis (City) yesterday evening to give the homeless in the area a warm meal as part of the its Peter and Paul Community Services program. According to the Incarnate Word Parish website….On the 20th of each month, Incarnate Word volunteers prepare, transport and serve a meal to the homeless clients of Peter & Paul Community Services, an ecumenical human service agency committed to providing transitional housing and supportive services to the homeless, especially those experiencing mental illness, HIV/AIDS or drug or alcohol addiction. 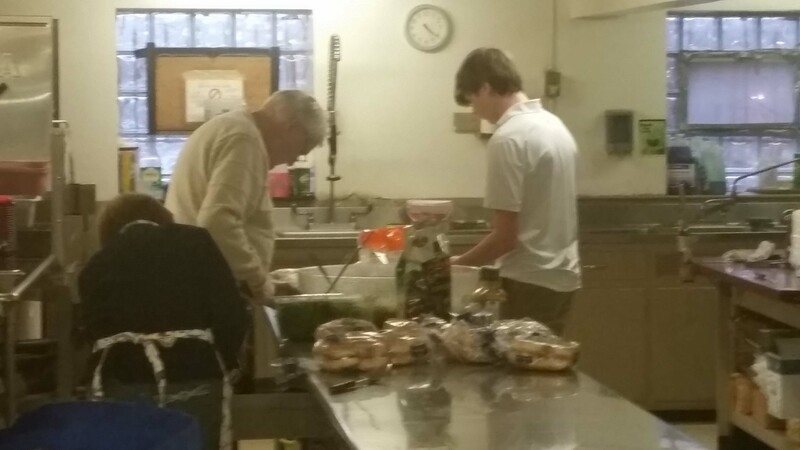 Our group of volunteers provide a meal for up to 200 clients at Peter & Paul in the Soulard neighborhood. Volunteers are always needed. There are many opportunities for you to help with this ministry. Dinner is served from 5:00pm-5:45pm on weekdays and Lunch is served 12:00pm-12:45pm on weekends Meals are served at the Sts. Peter & Paul’s Parish Hall, 816 Allen Ave, St. Louis, MO 63104. Volunteers park in the Parish Hall parking lot, which is diagonally opposite from the church. Enter the doors at the top of the staircase on the SE side of the building, which is by the dumpster. Follow the hallway into the kitchen. Meals Hall phone is 314-773-8486. 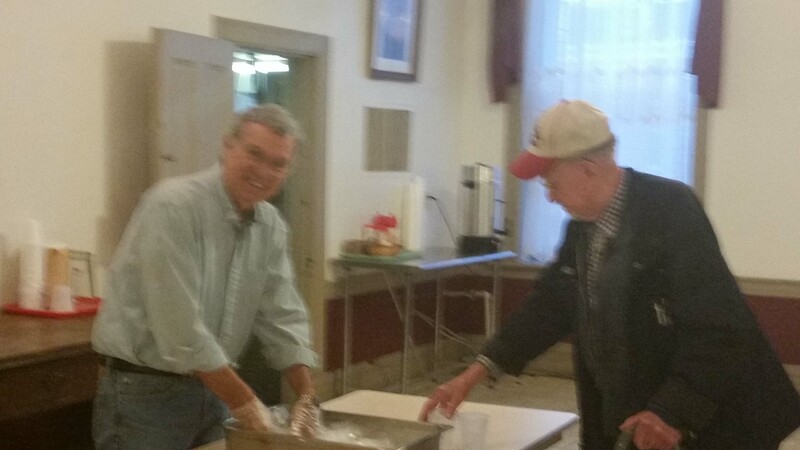 A little history on the Peter and Paul Community Services (PPCS) Meals program…..
An ecumenical effort from the start, several faith communities formed partnerships in order to better organize, including the Catholic parishes of Sts. Peter and Paul and St. Vincent de Paul, Trinity Lutheran Church, and the Sai Baba community of St. Louis. Volunteers established a Meals Program to offer nourishment and a sense of community to those living on low income in the neighborhood and beyond. Today, that program feeds over 30,000 meals each year, and is open to families, seniors, veterans, and those who are homeless. According to Peter and Paul Community Services (PPCS) Meals program, Every day from the 2nd through the 21st of each month, a free meal is served in the Parish Mid-Level Hall. 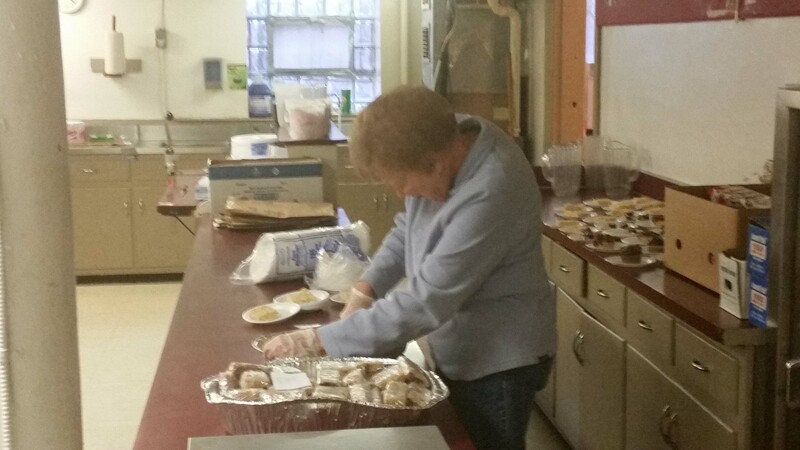 These homemade meals are served to the residents of the shelter, as well as to families and individuals in the Soulard area, who may be on limited or fixed incomes. PPCS says that they have between 80 and 200 guests who dine with us each day. 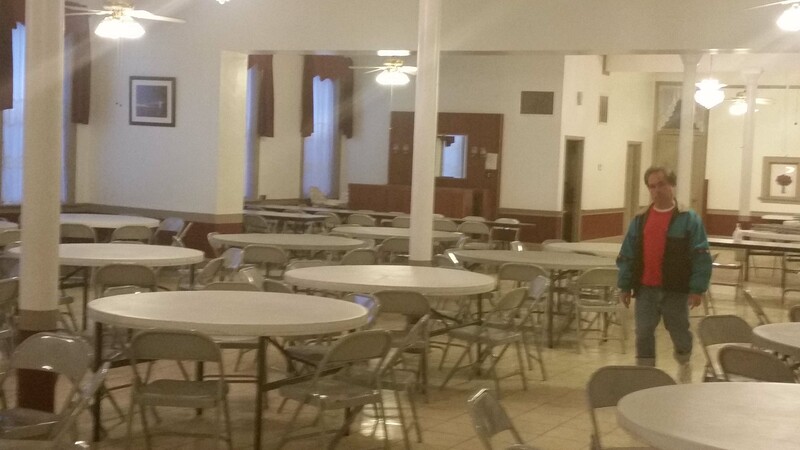 On a personal note…..this is the first time I went down to help out at the Peter and Paul Community Services (PPCS) Meals program feeding the homeless on Incarnate Word Parish’s day. It was something that i had wanted to do for a long time, but was never able to do due to scheduling reasons (work, personal, etc.). it a very selfless, humbling, and very fulfilling thing to do on the 20th of every month (or any other day for that matter). I highly recommend that you consider going down to help out, or if you cannot, donate food to have sent down to the Peter and Paul Community Services (PPCS) Meals program to be served to the homeless. Saints Peter & Paul Parish in the Soulard neighborhood in south St. Louis (City). Saints Peter & Paul Parish ‘s Peter and Paul Community Services program.